Most households using water softener will eventually come to a point when they will need repairs done. So why did you get a water softener in the first place? This question will prompt you to remember how you hated having to deal with scaling caused by hard water. Scaling from hard water means having to do extra scrubbing when cleaning your bathroom tiles, tub and kitchen sink or having to spend more money on soaps and shampoo because hard water would not let it lather much. Of course, when you have some issues you will not hesitate to have your water softener repaired. EcoWater Calgary’s service technician will let you know if the water softener needs to be repaired or replaced. How do you know your water softener needs repairing in the first place? How do you know it isn’t doing what it is supposed to be doing? There are two ways you can tell if your water softener isn’t working properly. The first, is just by the feel of the water and by the taste of the water. Bathing with hard water would feel like bathing with oil because of the slippery feel. 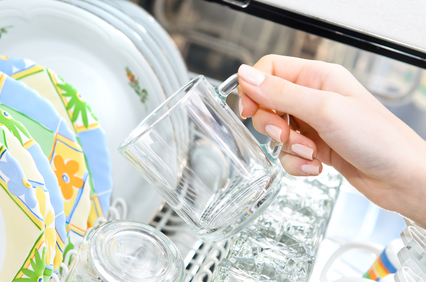 If you are used to drinking soft water, the moment you drink hard water you can detect its different taste. The second way to tell if you need to have you water softener serviced is by testing the water. You can purchase a salt testing kit at EcoWater Systems Calgary or bring us a sample of your water and we can test it while you wait. EcoWater Systems Calgary offers free water testing services. Come and see us. If you do doubt that your water softener needs to be repaired or feel it isn’t working properly, it would always be best to call the professionals. Trying to do the fixing yourself just to save a few bucks might actually cost you more if you end up doing more damage to it. Our technicians are trained to repair most model water softeners not just the EcoWater brand. Give us a call and we’ll get your water softener working in no time! Calgary, Chestermere, Cochrane, Okotoks, repairs, water softener repair. Bookmark.